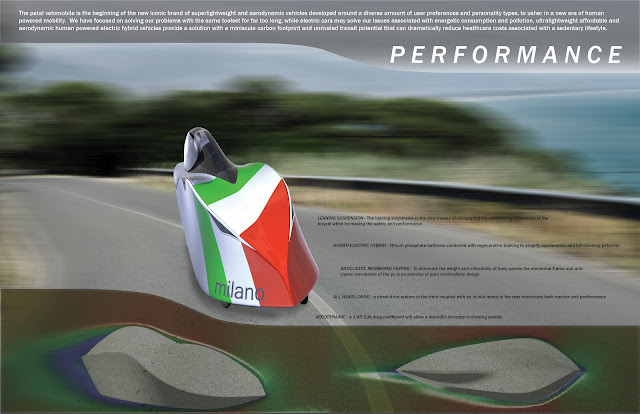 The Petal Velomobile is the beginning of the new iconic brand of affordable, ultra-lightweight and aerodynamic vehicles developed around a diverse amount of user preferences and personality types, to usher in a new era of human powered mobility. We have focused on solving our problems with the same toolset for far too long, while electric cars may solve our issues associated with energetic consumption and pollution; human powered electric hybrid vehicles provide a solution with a miniscule carbon footprint and unrivalled transit potential that can dramatically reduce healthcare costs associated with a sedentary lifestyle. 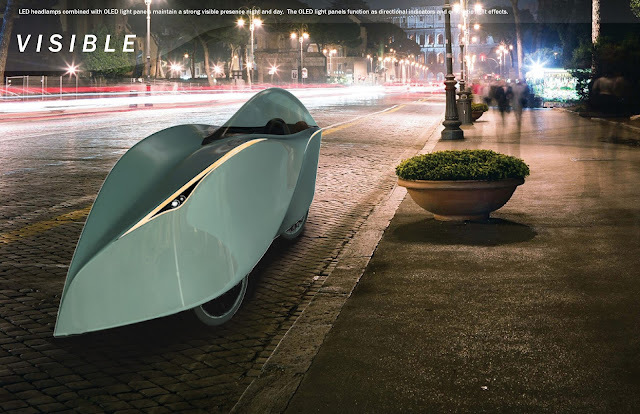 As any vehicle serves as a vessel for your personality and self expression, the Petal Velomobile is infinitely customizable to suit your mood and personality. The gore-tex and spandex blend membrane easily pops on and off the frame. Because the fairing elements are nonexclusive and variable in vapour resistance, the enclosure can be modified to provide comfort for almost any weather condition. Similar to an iphone case or pair of shoes, the inter-changeability of this fairing allows it to truly become a fashion accessory. 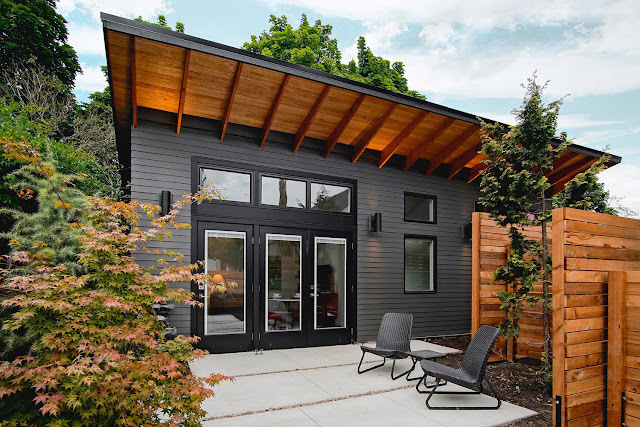 Extremely personalize-able, from baby carriers and storage compartments to custom skins and carbon fiber upgrades, the product extends its reach to a diverse clientele. Critical to safety, led headlamps combined with oled light panels maintain a strong visible presence night and day. The oled light panels function as directional indicators and customizable kinetic light effects. These highly visible elements highlight the creased knee and shoulder lines of the vehicle; expressive of the rider inside. With a leaning suspension, slippery aerodynamic form, and electric acceleration and hill assist package, the Petal Velomobile extends the possibilities of human powered transit. 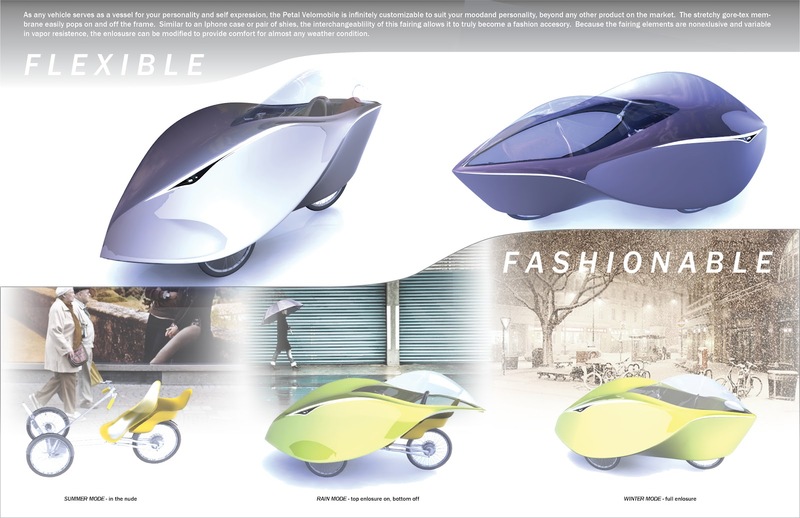 The Petal Velomobile is flexible to a varied amount of users, engaging both urban mobility and performance as critical design parameters. 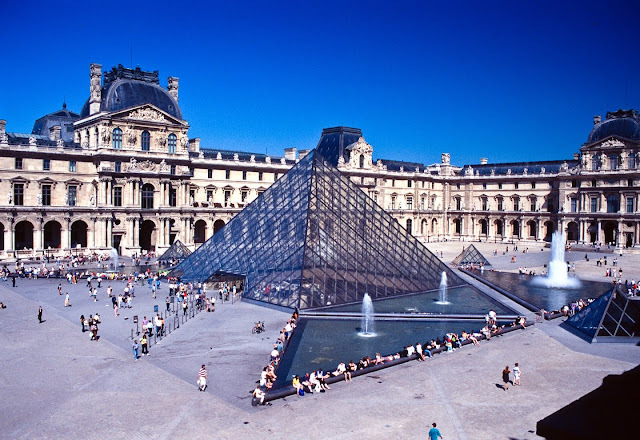 Because the most deluxe model is a fraction of the cost of an automobile, this form of mobility becomes accessible to a completely new demographic. 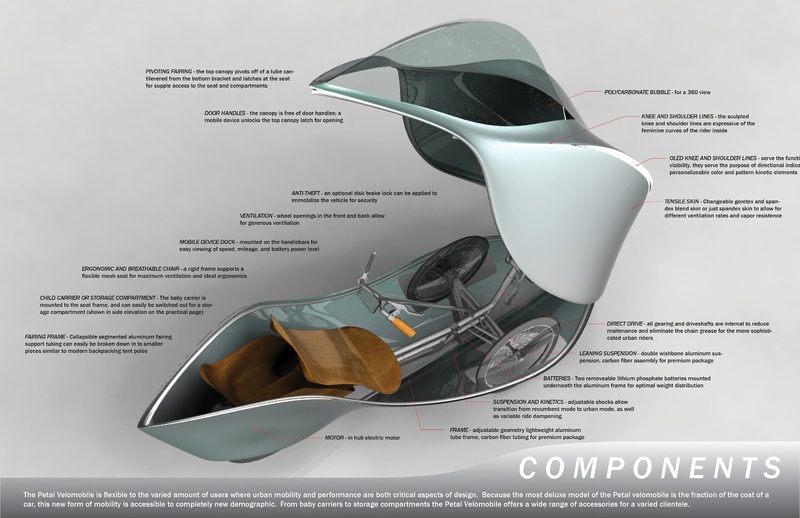 Ultimately the goal of this design is to liberate people beyond the current modes of transit, while maintaining the ownership values of car culture, while emulating the efficiency of mass transit. As an unlicensed transit architect, every day bicycle and rowing commuter, and regenerative design advocate, my goal with this project is to utilize existing technology to push the boundaries of our sustainable transit potential. 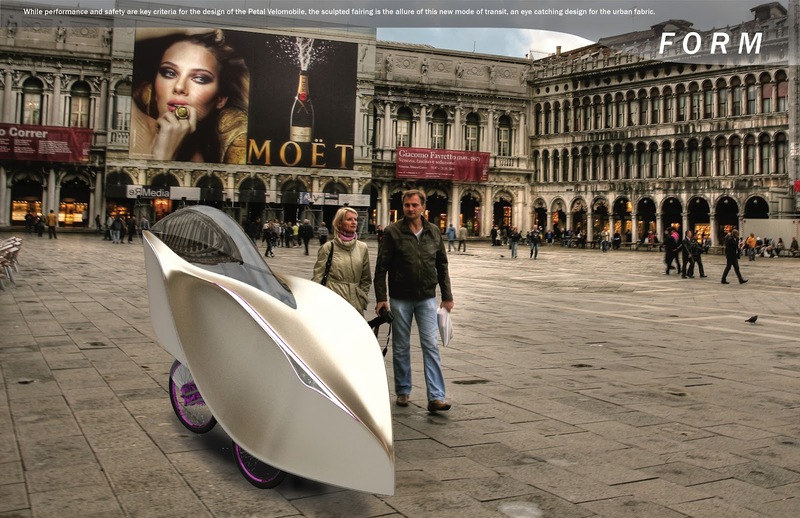 With the constraints of population growth and scarcity of energy resources, we must ultimately elevate the performance of human powered transit to the point where it out competes other modes of transit. In my forthcoming book this vehicle is one element in a new infrastructure typology that utilizes existing right-of-way's to expand our transportation potential as a society. Just about the only issue I see here is a slight problem with driver safety. Still, a seatbelt and some chassis reinforcement should make something like this a common sight at sydney auto auctions one day. company to employ a foreign individual for that duration. It is quicker to be applied for and issued than a green card. 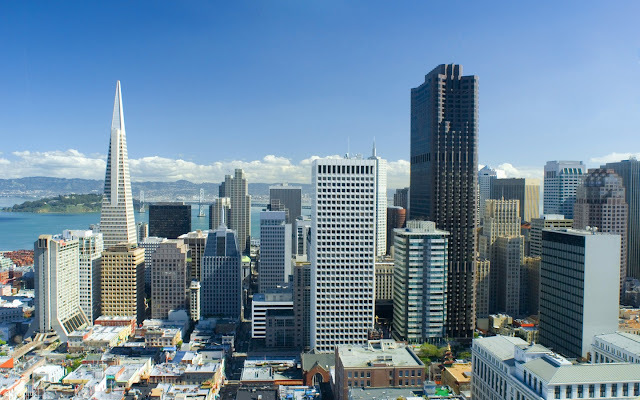 a period in excess of six years, the H-1 B visa is the starting point.